Called by Plutarch "the oldest and greatest of Alexander's successors," Antigonos the One-Eyed (382-301 BC) was the dominant figure during the first half of the Diadoch period, ruling most of the Asian territory conquered by the Macedonians during his final twenty years. Billows provides the first detailed study of this great general and administrator, establishing him as a key contributor to the Hellenistic monarchy and state. After a successful career under Philip and Alexander, Antigonos rose to power over the Asian portion of Alexander's conquests. Embittered by the persistent hostility of those who controlled the European and Egyptian parts of the empire, he tried to eliminate these opponents, an ambition which led to his final defeat in 301. 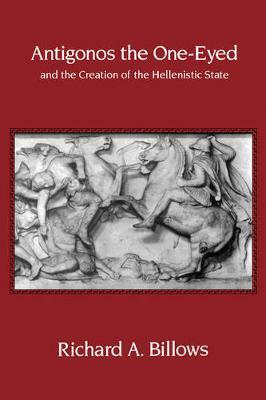 In a corrective to the standard explanations of his aims, Billows shows that Antigonos was scarcely influenced by Alexander, seeking to rule West Asia and the Aegean, rather than the whole of Alexander's Empire.